Working directly with homeowners, as well as local authorities, associations and construction companies across the UK, our domestic scaffolding solutions cover a wide range of projects. We cater for most job sizes, with no job too small. We offer scaffolding for roofing, pointing, chimney work, guttering, rendering, fascias and soffits…in fact, any job where safe access is important. * We will provide you with a no obligation free quotation. Your quotation will be returned to you within 48 hours. * We will agree a time and date to erect your scaffold and guarantee that we’ll be on time, subject to our T&Cs. We will pone the day before in order to confirm these times with you. Our team will maintain the very highest standards of professionalism & integrity throughout, treating your home with the greatest of respect. * Our team will comply with all Health & Safety / TG20:13 / best practice and regulations governing the scaffolding industry. * We will ensure a safety scaf-tag is fixed to the scaffolding providing reassurance and peace of mind that the scaffolding equipment is checked, safe and secure. * When your scaffolding is ready to be taken down, we will endeavour to be there within 72 hours. We will ensure that the property is left in the same condition we found it in. A reliable and professional service at competitive rates. We have a great reputation for being reliable, professional and providing a safe and efficient service with very competitive rates. Work done in and around your home is always going to be sensitive – it’s the last place where you want things to go wrong. 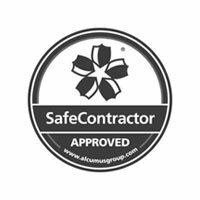 With excellent accreditations and superb attention to detail, we’ll complete all work safely, on time and within your budget. We’ll provide a competitive quotation – just get in touch to find out more!